Continuum is an 87”X78” quilt as-you-go designed by Leonie West, the genius behind the Westalee brand of quilting templates. The quilt contains 13 different blocks using the templates included in the Continuum Class in a Bag. 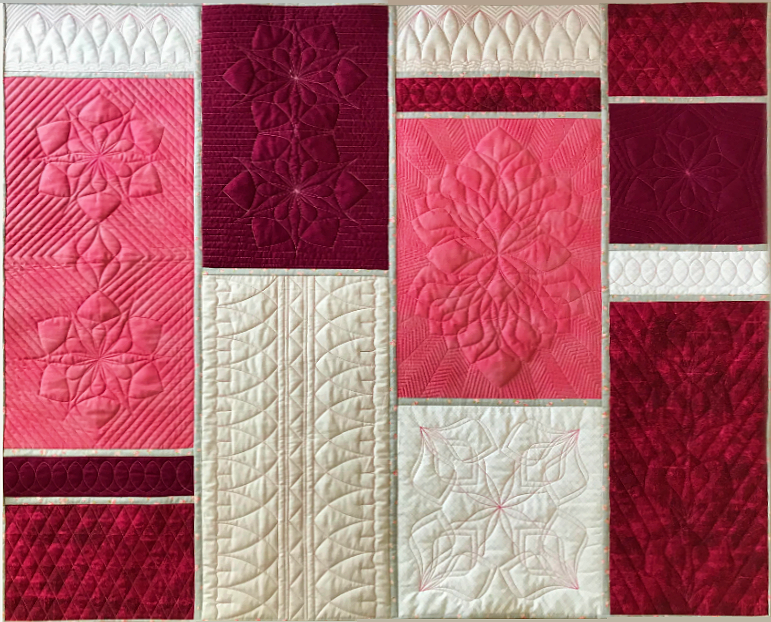 In this two day workshop, you will stitch each of the blocks once (and Block A twice) to make a 49” x 42” quilt. This class gives you hands on experience with all the rulers included in a handy Yazzii Bag. Add this class to any Ruler Play class and the price for this class is only $129. Sewaholics base price is $129. Sewaholics add this class to any Ruler Play class and the price for this class is only $99.